The Seton Chapel of St. Elizabeth’s Medical Center is located in the Seton Building on the 4th floor. 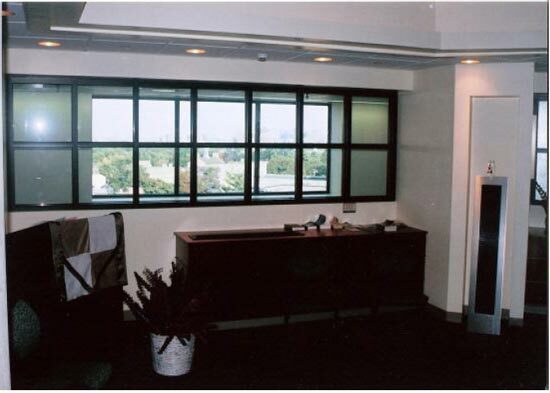 It is situated to the right of the information desk as you enter the main lobby. The Seton Chapel is available for patients, staff, families and visitors, and is open seven days a week, twenty-four hours a day. Groups affiliated with St. Elizabeth's may request the use of the chapel for services by contacting the Department of Spiritual Care. The request for use of the Seton Chapel should be made at least two weeks in advance for a particular activity. All requests for such are channeled through the Department of Spiritual Care and approved by the director and priest chaplain. The purpose of the Seton Chapel is to offer patients, families, staff and visitors a quiet place for retreat and prayer. Daily Mass is offered in the Seton Chapel Monday through Friday at 12 p.m.; on Saturday at 4 p.m., and on Sunday at 8 a.m. Chaplains are professionally trained people who are able to respond to the spiritual needs of others relating to issues of forgiveness and reconciliation, meaning of life, trust, faith, hope, love, as well as being proactive when the need for religious ritual is requested. Whatever may be a person’s spiritual need, the chaplain sustains the person’s integrity and supports that person in drawing from his/her own resources of spiritual strengths in order to cope with the ensuing circumstances. Often times, chaplains are called upon to minister to staff personnel around difficult patient issues, as well as varied personal matters. Sacraments are made available to Roman Catholics and other Christian patients, in order to provide for their spiritual needs. Mass is celebrated in the hospital every day for the benefit of patients, staff and visitors in so far as is possible. Mondaythrough Friday at 12 p.m.
Holy Communion will be offered Sunday through Friday. Catholic chaplains and trained eucharistic ministers offer Holy Communion to those patients who request to receive the Eucharist. Baptism is available to patients in critical condition who request it. The Sacrament of Confirmation, after the emergency Baptism, may be administered to any patient who is critically ill, particularly if the chance of survival is minimal. The priest chaplain will be called to administer this Sacrament. The Sacrament of Reconciliation is available through Spiritual Care Department at the request of patients, their loved ones, or any member of the health care team. The priest chaplain will be notified of the request. If possible, the Sacrament will be administered while the patient is in full consciousness. For this Sacrament, the chaplain gives particular attention to those patients who show signs of approaching death. The Interfaith Meditation Chapel is located on the 7th floor between the Seton and Medeiros Buildings. The chapel is open 24 hours a day for meditation and prayer. The chapel is available for patients, staff, families and visitors. All are welcome. Groups affiliated with St. Elizabeth’s Medical Center may request the use of the Interfaith Meditation Chapel for services by contacting the Department of Spiritual Care. 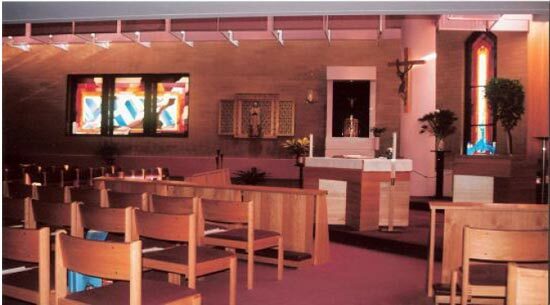 The purpose of the chapel is to offer patients, families, staff and visitors a quiet space for retreat and prayer. Ecumenical and inter-religious services are also available. When requested, the Department of Spiritual Care will assist patients of diverse faith traditions in accessing their own spiritual care providers. By way of the medical center’s closed circuit TV system, and for your convenience, spiritual music can be found on channel 3. Relaxation music is available on Channel 11. St. Elizabeth’s offers all of our Jewish visitors and guests access to Boston’s first Bikur Cholim (visiting the sick) room. This room, a place to rest, pray and eat, is located on Seton 6E and includes a supply of kosher food, prayer books and other religious items, as well as comfortable furnishings and a kosher refrigerator and microwave. The room is stocked with kosher food and is furnished in partnership with ROFEH (Reaching Out, Furnishing Emergency Healthcare) and Wingate Health Care. Please check with your nurse if you need access to the room. Office hours for the Spiritual Care Department run from 8 a.m. to 4:30 p.m. Services can be accessed by calling the department or contacting the staff chaplain assigned to the unit. St. Elizabeth's Spiritual Care Services has a 24/7 emergency chaplain or priest chaplain available on call. They may be reached at any time by asking the operator to page the chaplain-on-call. Spiritual Care Services are provided for all patients, regardless of faith tradition or social/religious background. It is the policy of the hospital that referral for services of Spiritual Care personnel may be made on behalf of any patient by any member of the health care team at St. Elizabeth's. The recovery and emergency rooms should contact Spiritual Care Services in critical or unusual situations where the supervisor feels the presence of a Spiritual Care provider is warranted.